Every child has his/her unique set of strengths and weaknesses, but at what point do particular weaknesses become a learning disability? The answer is not always simple. 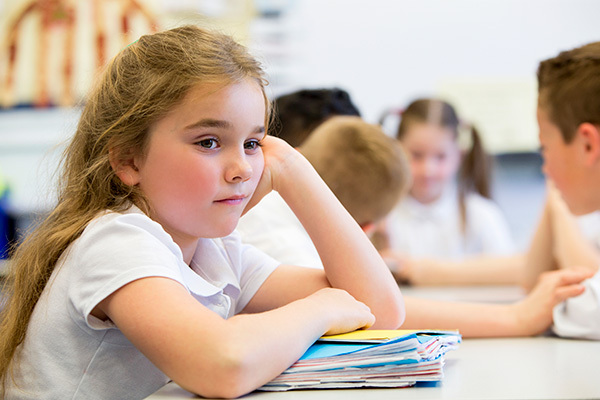 There is no single definitive trait found in a child or adolescent with learning disabilities, and subtle signs may not even become clear until academic demands increase in middle school. Problems learning phonemes (individual units of sound) and graphemes (letters, numbers). Struggles to blend sounds and letters to sound out words, or to remember familiar words by sight. Trouble forming and sequencing letters and numbers (i.e., reversals; can’t alphabetize). Ongoing problems with basic spelling and grammar. Difficulties learning math skills and doing math calculations. Poor memory or trouble remembering facts. Difficulty organizing belongings, info, and/or concepts. Struggles to express oneself verbally. Loses or forgets things. May forget to turn in completed work. Significant trouble planning out the steps and time lines for completing assignments, particularly long-term projects. Later on, difficulty may be seen with reading comprehension and/or with organizing thoughts for written assignments or reports. There may also be related behavioral signs, such as distractibility, impulsiveness, trouble adjusting to changes, withdrawal, and/or low self-esteem. If you have noticed several or many of these signs, you will want to consider having your child evaluated for a learning disability. This may be called a psychoeducational or neuropsychological evaluation, which is performed by a licensed psychologist or neuropsychologist. If your child is significantly behind academically, he/she may be eligible for an evaluation through his/her public school. If your child attends private school, you may be eligible for an evaluation at the public school your child would have attended. Be aware that public schools provide a basic/limited evaluation and typically require significant evidence of academic struggles (e.g., performing one or two years behind grade level expectations) before considering testing. An outside evaluator can often be a better approach in order to truly understand your child’s unique strengths and weaknesses, get an accurate diagnosis, and obtain recommendations tailored to best support your child. Please reach out to Parents Place to find out about our comprehensive psychoeducational and neuropsychological assessment services. Seeking other resources to help your child thrive? Attend a workshop, schedule a parent education meeting, or schedule an assessment with one of the Child and Adolescent Specialists at Parents Place. Robyn Matlon, M.Ed., M.A., Psy.D., is a licensed psychologist with specialized training in play therapy, child development, attachment, depression, anxiety, complex trauma, and post-traumatic stress disorder. Robyn conducts comprehensive psychological assessments of children for a range of issues, including learning, attention, and memory challenges, as well as struggles with social-emotional or behavioral functioning. Her approach is strengths-based, collaborative, and draws on psychodynamic, cognitive-behavioral, mindfulness and play therapy techniques. Robyn can be reached at Parents Place in Marin County: 415-419-3625 or [email protected].